The next convertible ultrabook of the Chinese company Lenovo will probably have a 11.6 inch display and Broadwell Intel Core M processor. 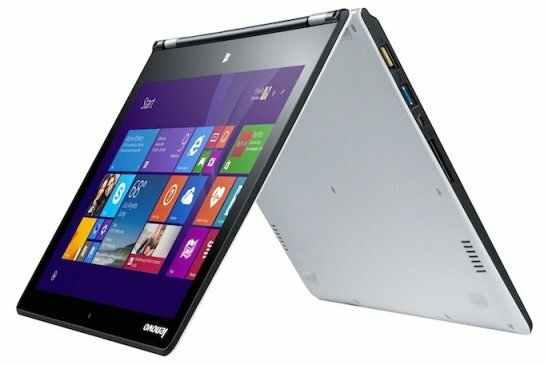 If the company has not yet officially introduced Yoga 3 11, some basic features have been displayed in a product listing on Amazon Germany earlier this month. Like other members of the Yoga range, the new model looks at first sight to a laptop. But, you can push the screen back 360 degrees until it is back to back with the keyboard. Therefore, you’ll be able to hold the device like a tablet. This model is a bit smaller than the 13.3-inch Yoga 3 Pro, but it has the same weight. The new model measures 28.95 x 19.81 x 1.52 cm and weighs about 1.2 kg. Lenovo will offer at least three different styles of Yoga 3 11. One will have an Intel Core M-5Y10C processor at 2 GHz, 4GB RAM and 128GB storage space, while the second model the same processor, but 8GB RAM and 256GB internal storage. Finally, a third model has a faster processor, the Intel Core M-5Y71 processor at 2.90 GHz, 8GB RAM, and 256GB internal storage. The three models have a display with a resolution of 1920 x 1080 pixels, a 3Wh battery announced offer up to 6.5 hours battery life, two USB 3.0 ports, one micro HDMI output, one SD card reader, 802.11ac Wi-Fi connectivity and Bluetooth 4.0. Like the product, prices are not yet official, but Amazon Germany posted prices ranging from 599 to 999 euro depending on the selected model. We will learn more about these convertible notebooks at the Consumer Electronics Show that will take place in the month of January.